Culturally Coded Content – Page 2 – Entertain. Educate. Enlighten. What is Social Entrepreneurship? Find out below. I love this documentary, and you will too. Ever heard of Seth Godin. I discovered this guy a few years ago, and I’m looking forward to diving into most, if not all, of his books. Here he is speaking about spreading ideas. Here’s aalbc.com’s Troy Johnson speaking about social media and publishing. Good stuff. Just finished Jonathan Fields’ book Career Renegade. Here he is sharing his insights about turning fear into fuel. Tell That Story. WRITE THAT BOOK. 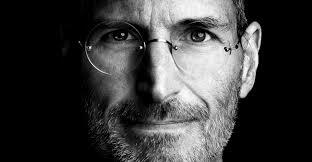 Listen as the late Steve Jobs shares some proven marketing strategies.